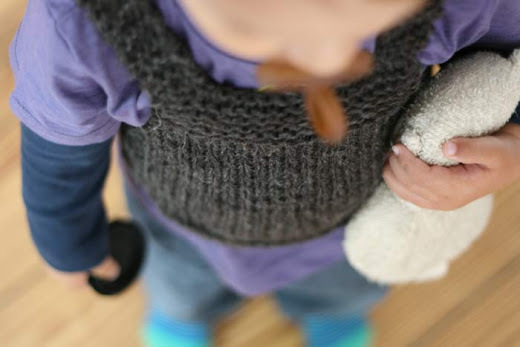 i tried to upsize this adorable vest (it's a free pattern with oh so many ravelry projects to browse! )by using a 10 ply yarn and size 6mm needles, but the same amount of stitches as in the pattern. 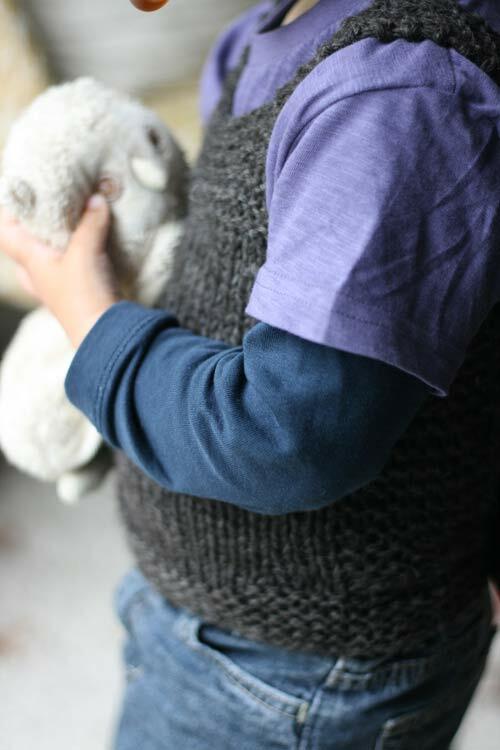 it is a bit tight on the photos but my little guy put it on right away on top of several layers of t-shirts and it’s ok so after blocking i think it will fit fine for a couple of months. he noticed that it’s the same yarn as my shalom that i was wearing when taking the photos, soo cute! it’s really a pity about the yarn (cascade yarns ecological wool), that it scratches and itches like mad. i still have plenty left but this can only be knit up into something that will never touch an inch of skin. still, i love the rustic look of it and i have also just made the sleeves of my shalom longer to make it more usable in the cooler months. will share that soon! 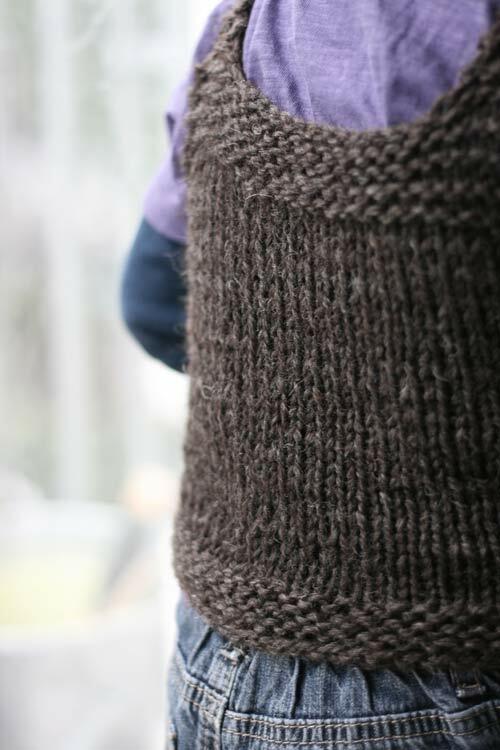 This vest is on my Year of Projects list. I hope to get to it soon. Its so simple and cute. The Shalom is on my mental list too. Great pictures by the way. i adore that middle picture with the vest snug on the round baby belly and him holding his favorite owl. cuuute! too bad it itches. looks nice though, and i really like the color. it is one of my favorite patterns for the little people - so cute! Such a beautiful brown. I've tried upsizing the pattern as well. Not too successful so far, but both pebbles will be passed on as 'baby dresses'. I'm still determined to try it again.